Love the screen over the top too. This would work over he old septic drainage field. 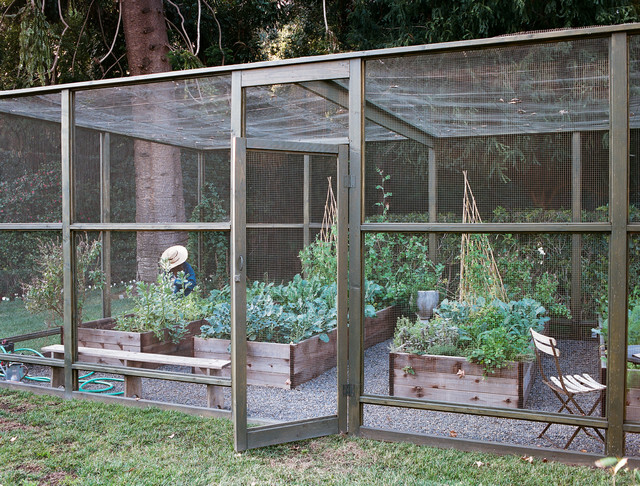 The screen or chicken wire would keep out the big critters. Simple enclosed garden. I love feeding the animals too, however, this way we could each have our own gardens.